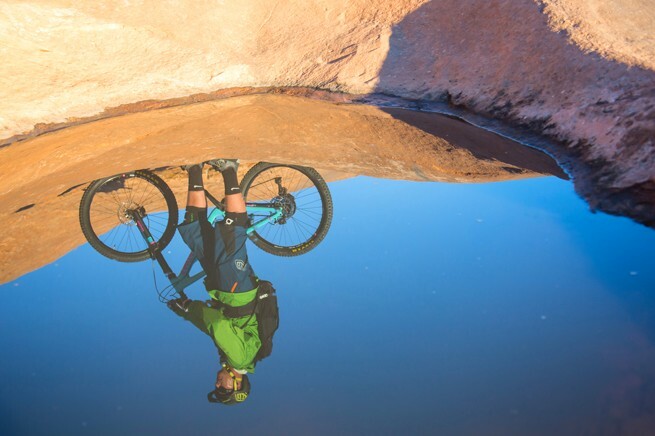 BOULDER, CO, March 9, 2016 � Emerging as this spring�s top three mountain bike destinations are three often-overlooked regions in America�s Southwest where temperatures hover in the high 70�s with little rain in the forecast. The only forecast on the horizon for a three- or four-day Chasing Epic weekend is some of the finest mountain bike riding in the world for intermediate to advanced enthusiasts who will experience the best trails in each locale under the watch of local guides who know every twist and outcrop around the corner. 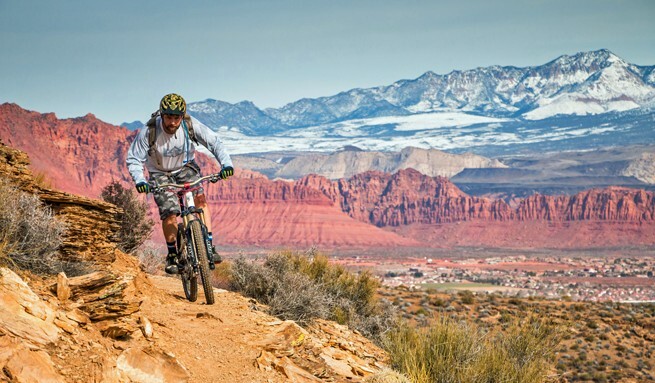 Fruita, CO, Sedona, AZ, and St. George, UT, are three must-ride mountain bike destinations this spring, says Steve Mokan, founder and owner of Chasing Epic (http://chasingepicmtb.com/). 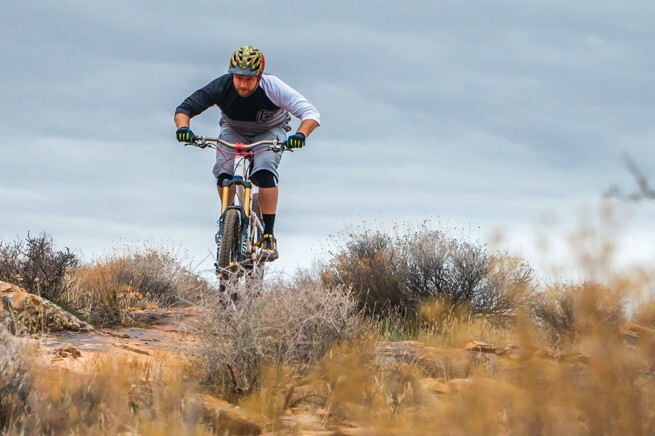 �In the circle of experienced riders it seems like everyone�s done Moab. It�s too crowded and over-saturated with tour companies and riders from all over,� says Mokan. �With our off-radar, bucket list routes and destinations you won't have to worry about the crowds, just the challenging trail ahead,� he adds. In Fruita three-day trips begin April 16 and May 28 at a per person rate of $950. Fruita (and neighboring Grand Junction) four hours from both Denver and Salt Lake City, caters well to mountain bikers, with not much going on after hours except time to tell riding stories, clean bikes and get ready for tomorrow�s challenges. It�s not unusual to see more bikes than cars on Aspen Avenue, and some of the in-town haunts (Over the Edge, Hot Tomato) are world famous. Three-day mountain biking getaways engage intermediate and advanced riders. Longer rides are easier due to few technical or extended climbs, and �the views of the Bookcliffs and Colorado River are fantastic,� he promises. He suggests the Ibis Mojo HD3 for enjoying the main networks: 18 Road (North Fruita Desert Trails), Kokopelli/Loma Trails, Rabbit Valley and the Lunch Loops in Grand Junction. �There are enough trails to keep you busy for a week. But to get the most out of your three-day trip, you should ride with someone who knows the trails,� he recommends. 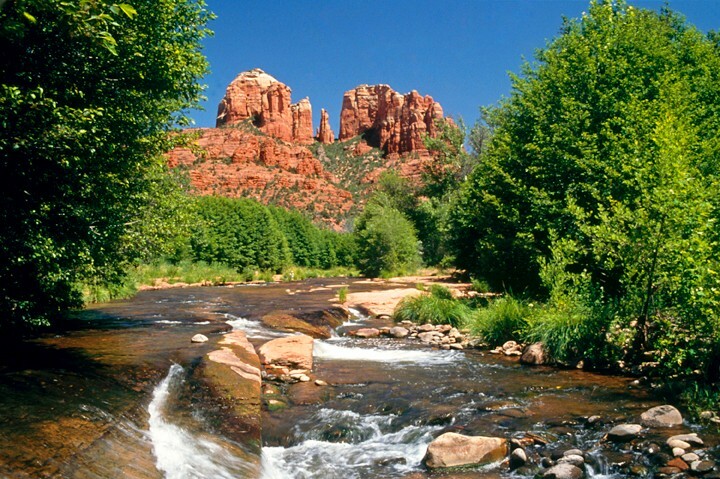 Sedona has hundreds of miles of trails in and around town, but there are also networks of shorter trails, so he suggests riders need an experienced guide to link together trails. The most famous here are Mezcal, Chuckwagon, HiLine, Slim Shady, and Hangover, with his bike choice for riding here is the Ibis Mojo HD3. Trips to St. George, UT are scheduled for both April 8 and May 14. The per person rate is $1,250 for the 4-day April departure, and $950 for the 3-day May 14 date. Near Snow Canyon State Park and Zion National Park, St. George is 90 minutes east of Las Vegas and under six hours from San Diego, Los Angeles and Salt Lake City. 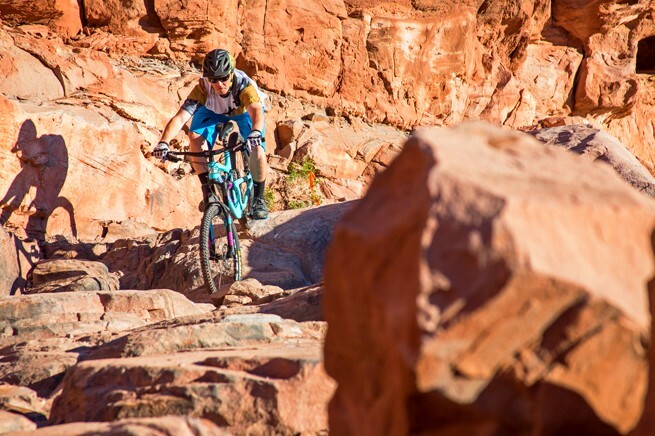 �Spring riding in St. George is incredible, with miles of trails right in town as well as bucket list rides out on the mesas near Hurricane, only 15 minutes away,� �Mokan explains. �Spring weather is perfect for mountain biking both in the valley and on the mesas. The popular trails here are Hurricane Rim (an IMBA Epic), Gooseberry Mesa, Guacamole, Little Creek, the Santa Clara trails, and the Zen trail. �St. George trails aren't too technical on average, and they're not physically difficult either. It's a great mix of fun technical features mixed in with gentle, rolling terrain. The views are incredible in every direction. Our weapon of choice for St. George is the Ibis Ripley LS,� Mokan adds. Unlike traditional point-A-to-point-B mountain bike tour companies, Chasing Epic stays in a single town in each destination and dedicates itineraries to daily rides that cover a variety of the most epic single track trails in each area. Chasing Epic trips are all inclusive and a per person rate includes accommodations (never camping), hearty meals, high-end demo bikes (an all-carbon demo bike fleet includes Ibis Mojo HD3s, Ibis Ripley LS 29ers, and Niner Jet 9 29ers), local guides conversant with the terrain, customized eight-week pre-trip training programs, best-in-class ride nutrition, shuttles and lift tickets, gratuities and a dedicated on-site trip leader to help control gear mashers and share the stories and laughs with a group of like-minded riders. On the premise that �the less you suffer on the climbs, the more you�ll enjoy the descents,� Mokan has engaged coaching platform companies Training Peaks and Through the Wall Training to customize individualized training programs (valued at up to $400) for eight weeks prior to departure. For reservations and information please visit http://chasingepicmtb.com/ or email steve@chasingepicmtb.com or telephone 303.949.3933. 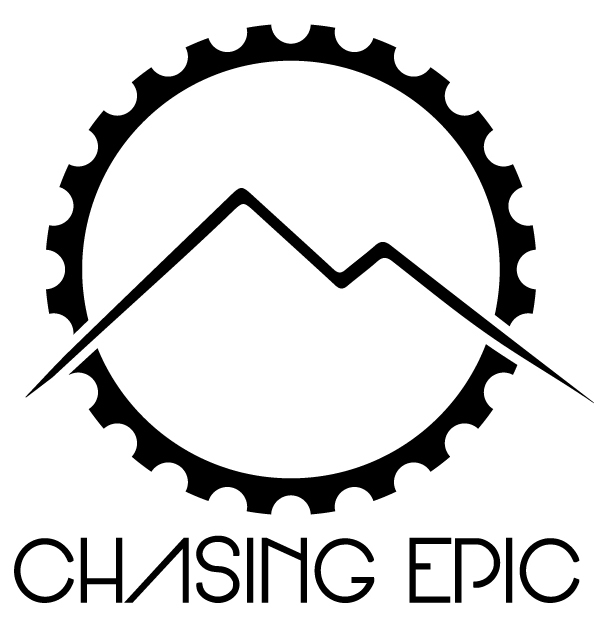 Chasing Epic is a new adventure travel company (founded in 2016) that aims to raise the bar and set new standards in the mountain bike community. The focus is on offering experienced intermediate to advanced-level mountain bikers fully all-inclusive, locally guided mountain bike trips where everybody wants to ride -- the Western US � and when everybody has time � over long weekends. Guests just need to be fit and pack a helmet, shoes and appetite for epic single track action. Each tour includes lodging, meals, high-end bikes, local guides, customized eight-week training programs, best-in-class ride nutrition, shuttles, lift tickets, gratuities and a dedicated on-site trip leader. Destinations embrace both the iconic and soon-to-be legendary; Crested Butte, Durango, Fruita and Telluride, Colorado; Sedona, Arizona; and Park City and St. George, Utah. First class rail travel with a 15-consecutive Swiss Travel Pass (which allows you to add days before and/or after this tour and travel for free), including free entry to over 490 Swiss Museums. Transportation of 1 suitcase by train on 3 days (Sept 21, 23, 25). On Sept 19 and 27, participants will carry their own luggage on the train. Rail Source International, Inc. has purchased a Group Protection Plan with Travel Insured on behalf of all participants (covering September 17-27 land arrangements). Transatlantic flights and meals, except where mentioned, are not included. Any other item not mentioned in the itinerary is not included. Rail Source International, Inc's Terms and Conditions apply (a copy is available on the website). Rates may change due to currency fluctuation, inquire at time of booking. This departure is not guaranteed. We will need a minimum of 15 participants and we will allow a maximum of 25 participants. The tour will be guaranteed or cancelled by the first week of August 2016 the very latest. Please note that there will be considerable walking and stair climbing on this tour and you must be able to keep up with the group. The tour is operated by Rail Source International Inc. and MagicSwitzerland, tour operators specializing in railtravel through Switzerland and other European countries. "The combined glamour of the fashion and travel industry share a long history. 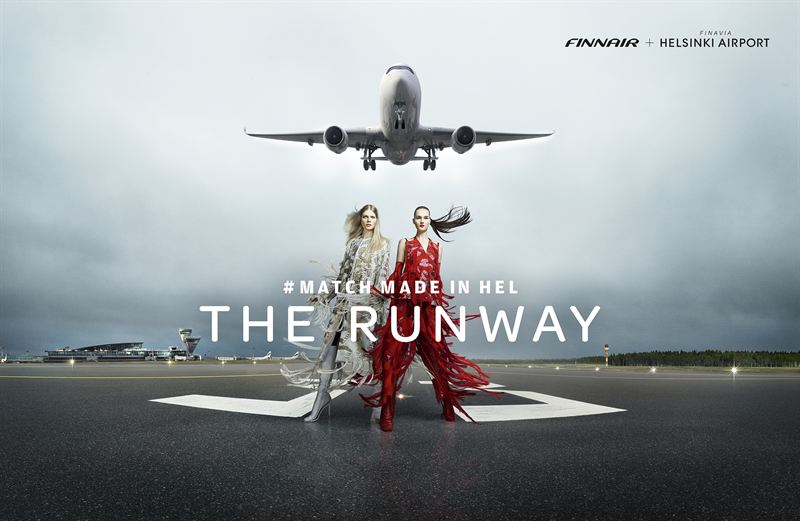 Air travel has long played a key role in setting the pace of fashion trends across the world," says Johanna J�k�l�, Vice President, Brand, Marketing and Loyalty at Finnair. "Fashion connects and inspires people, and we see this on a daily basis as we connect Europe and Asia with our flights. With this fashion show, we want to celebrate the connections between Europe and Asia, and showcase the work of some of the hottest designers from these two continents." 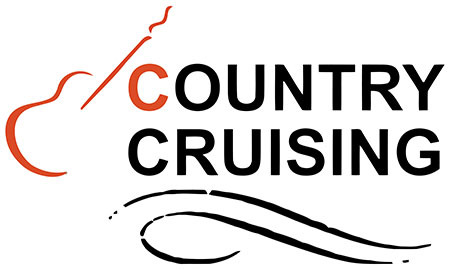 Many of the top Country stars in the format are taking part in the Country Cruising experience, set for January 14-19, 2017. Fans will be travelling aboard the Brilliance of the Seas�, a beautiful Radiance-class ship that combines sleek swiftness, panoramic vistas, and wide-open spaces. With acres of glass enclosing the nine-story central atrium, elevators facing the sea, and floor-to-ceiling windows throughout, cruisers will never be at a loss for an incredible view. Country Cruising will set sail on January 14, 2017 from Tampa, and will stop in Key West before making its� voyage to Cozumel, Mexico. The ship will arrive back in Tampa on January 19. Among the initial artists announced to participate in the cruise include hit-makers Chris Young, LOCASH and ACM�s New Female Vocalist of the Year winner Kelsea Ballerini. With five albums to his credit, Chris Young has amassed seven No. 1 singles, fourteen Gold/Platinum certifications and performed for audiences ranging from Good Morning America to Australia and Japan to Jimmy Kimmel Live. The RCA Records artist is a dynamic live performer who plays a powerhouse show packed with hits, including chart toppers �Gettin� You Home,� �Voices,� �Tomorrow,� and �I�m Comin� Over.� He�s an international ambassador for his genre, a talented songwriter, and a southern gentleman who is frequently declared one of country music�s sexiest men by People and Nash Country Weekly magazines. Young is just as well known for his classic baritone as he is for melt-your-heart ballads and is winning audiences across the globe. Released in November of 2015 and debuting at #1 on Billboard�s Top Country Albums chart, Young�s first co-produced album, I�m Comin� Over, also features the three-week #1 smash title track and his latest hit, �Think Of You,� a duet with Cassadee Pope. The single and album earned him four ACM Awards nominations, including his first in the coveted Album of the Year category as both the artist and producer, and a Billboard Music Awards nomination for Top Country Song. Join the conversation with Chris Young�s more than 2.9 million followers on Facebook, Instagram, and Twitter and get tickets to catch him on tour at www.chrisyoungcountry.com. Black River recording artist Kelsea Ballerini burst out of the gates with her first single, �Love Me Like You Mean It,� in early 2015. The song topped the Billboard Country Airplay chart, a feat that her follow-up single, �Dibs,� achieved as well. She has won awards from such magazines as Billboard, and was named as the New Female Vocalist of the Year from the Academy Of Country Music. LOCASH � consisting of Chris Lucas and Preston Brust � have steadily built their career, and are now considered as one of the top duos in the format. Signed to Reviver Records, their recent hit, �I Love This Life,� was a number one hit, and their follow-up single, �I Know Somebody,� is speeding up the charts. As songwriters, the duo have enjoyed hits by artists such as Keith Urban, Tim McGraw, and Chris Janson. Their live show is one of the most-buzzed about in the business.